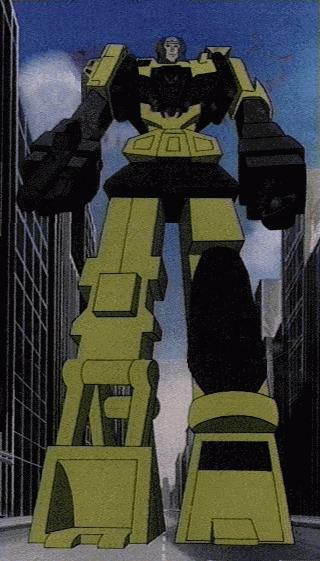 The Empire State Building was rebuilt by the Constructicons to help form "New Cybertron." 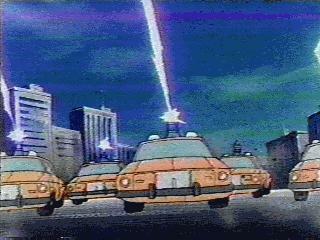 The Autobots fight against the Decepticons in Central Park. Rumble and Frenzy shake them up a little. 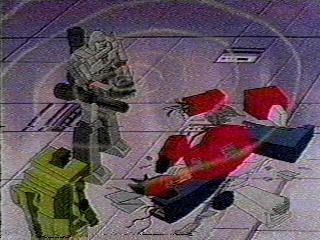 Hook disassembled Opitmus Prime and Long Haul spilled the parts at Megatron's feet. 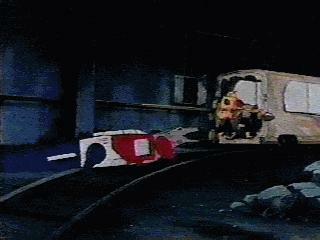 This scene was very similar to a scene in "Night of the Living Dead." 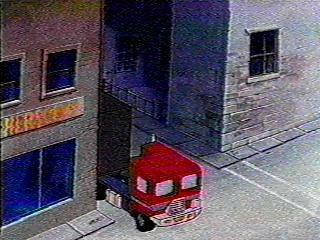 These are pics of the aligatorcon that the Constructicons built using Optimus Prime's body parts. 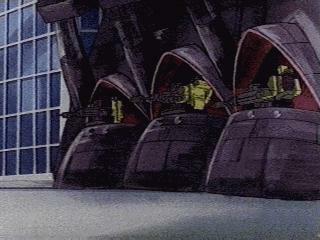 These are the battle taxies the Constructicons built to defend "New Cybertron." 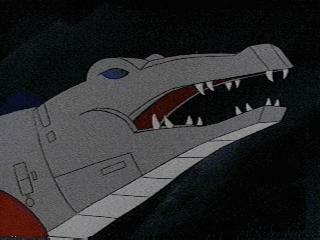 As if New York City cabs weren't dangerous enough. 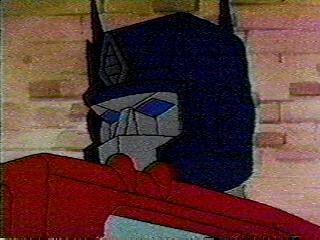 Prime then transforms despite his missing appendage and helps out his fellow Autobots. 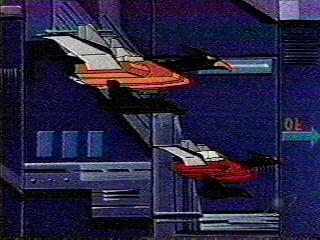 Here are the Constructicons guarding the entrance to "New Cybertron," the "City of Steel" that the Constructicons built in New York City. 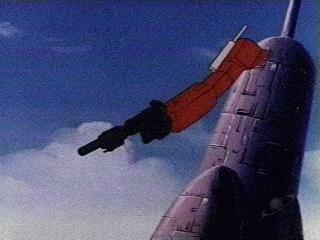 Optimus Prime's missing arm grows back temporarily. It's the right one just in case you didn't know. 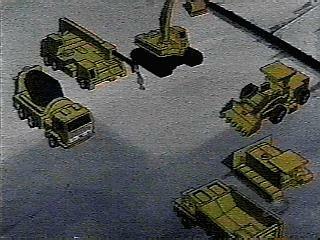 These are all six Constructicons before they merged into Devastator. 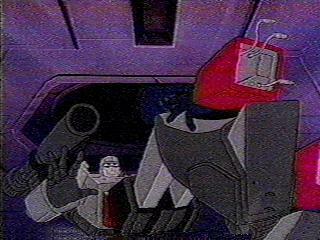 Wheeljack was observing them from around the corner. 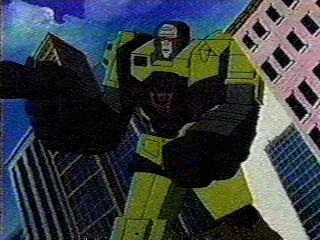 This is Devastator immediately after the Constructicons merged. 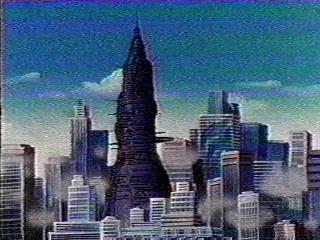 He then smashed a building and began climbing the rebuilt Empire State Building. 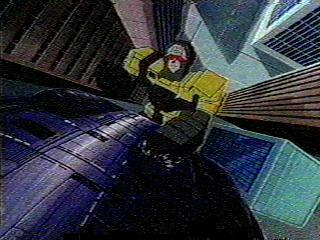 A beautiful shot of one of the only appearances of Buzzsaw. 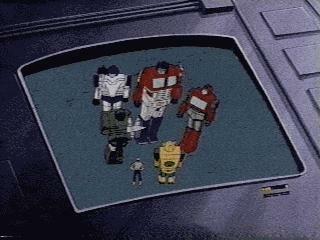 Soundwave ejected them to chase Bumblebee and Spike. 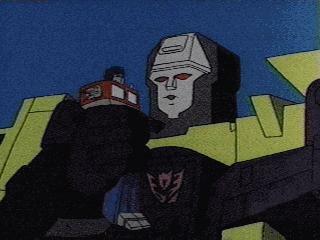 Devastator stops to tell Prime his end is near and that it will take more than his puny arm to stop him. 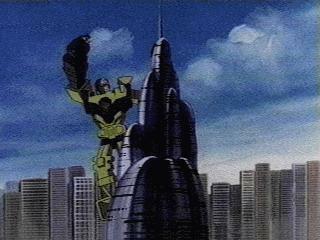 Prime's puny arm then blasts Devastator off of the building.